Directed by Michael Q. Ceballos. Produced by Twiddle Productions Inc/Chamorro Studies GDOE. Guam/Hawai‘i. 2015. 35 min. 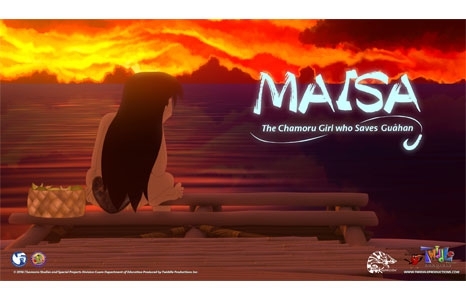 Based on a Chamoru legend, Maisa tells the story of a girl who finds the strength to lead the women of Guåhan (Guam) into battle against a giant creature from the Marianas trench that is devouring their island home. 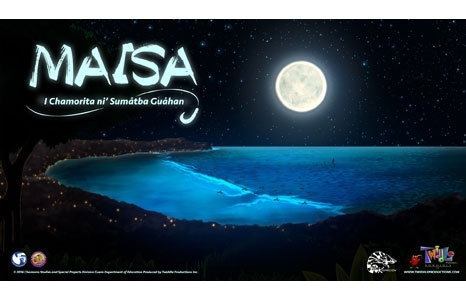 This is the first animated film to feature the endangered Chamorro language of Guam. For this film cultural and language experts worked diligently to bring the language back to its historical pre-contact era. The Honolulu production and creative team at Twiddle productions Inc. worked hand in hand with the DOE Chamorro Studies department in Guam as well as cultural and language experts. One of the production’s goals was to highlight Chamorro. In 2000, the Spanish Census showed that fewer than 20 percent of Chamorros living in Guam speak their native language fluently and a vast majority were over the age of 55. Working with Chamorro cultural and language experts in Guam, Ceballos and his team removed all the Spanish and English-influenced words for the animated section of the film.